I am going with the tried and tested, Hema. It is much easier than struggling to on-board a completely new hire. Especially when he would need significant handholding,” said this harried CEO to me. They call them the Boomerangs, the ones who leave your organization and then return, much like the prodigal son, at some later date. These rehires are also creatively christened retreads or “Comeback Kids”. The target of every self-respecting recruitment team, the benefits of hiring a former employee are well-known and documented. Apart from reduced hiring costs and timelines, these hires come pre-wired with knowledge to navigate the complex company landscape and enviable, on-tap access to buddy ecosystems. No wonder then that research shows that the quality of such hires is significantly better. All of which essentially means less time to hit the road running. No surprise then that organizations eye this talent honey-pot covetously and invest assiduously in “green-channelling” them back into their fold. But these “hiring miracles” could easily turn into “hiring mortality” if organizations don’t assimilate them right. So here’s a list of Organizational Must Dos culled from recruiters, search firms, bosses and even Boomerangs for such seamless transition. Is your organization’s attitude towards rehires one of second-class citizenship or of a grudge mentality instead of being truly inclusive? Does the rehire philosophy have the strong buy-in of all the powers that be? Even passive resistance will corrode the essence of the initiative. An organization that celebrated Boomerangs bade all voluntary departees with a “Just remember you have a round-trip ticket” message. And if they returned, welcomed each candidate with a wooden boomerang, inscribed with the date they quit and the date they returned. Celebratory listings on the intranet, welcome-back letters from top management and membership to the exclusive Boomerang club followed. What is the role you are hiring for? Is there a fit? Rehires may not warrant elaborate selection processes but it would be best to assess their learning agility, critical for success in an evolving organizational scenario. The expectation, not unreasonably, is that the returning employee would have added to their experience repertoire in the time that s/he was away and come back to a more challenging role, better equipped. Someone once told me how a rehire who had left the organization when the service load was 1, was not even able to conceive of the magnitude and type of problems when returning to an organization which by then was handling 10 times the load. To avoid ending up as Rip Van Winkle, the Boomerang would be well-advised to remember that the job has moved on from the old one. In the morrow, the role, the reporting, the power centres, and especially organizational expectations, will be different. Remember also that former peers may well have moved ahead. Tough luck, but that is how the cookie crumbles. New bridges will have to be built and new peer groups formed. Has the original problem been fixed? Like the proverbial Caesar’s wife, are you both fair and also seen to be fair—to both rehires and their peers, especially when making the all-important fitment decision? A distress re-entry may allow for discounted offers—compensation, designations, benefits, and even reporting. But it will irk, sooner rather than later. Conversely, too liberal an offer to the Boomerang and loyalists who have stayed back in the organization will be justifiably aggrieved. It is indeed a delicate juggling act, but parity with former peers, the current crop of hires and the additional experience or qualification that the rehire has acquired are all important parts of the equation. Refitting a Boomerang who returns after higher studies is indeed tough since the principle of peer parity, with loyalists who have stayed behind, is usually pitted straight against the educational premium. Each company makes peace with this conflict in its own way. Don’t underestimate the importance of a formal induction. Reorient rehires with the same rigour as you would a new hire, but don’t bore them to death with the same content as a newcomer. Instead, it would help to focus on a few key areas where there have been significant changes since the candidate departed. One-on-one or small group interventions, designed specifically for Boomerangs, are found to be most effective. The Boomerang may well be nursing a wounded ego. The causes could be many—failed entrepreneurship, a disastrous job switch or changed family circumstances. Contrarily, he may be on an ego trip, flaunting the return epaulettes, treading insensitively on peer corns. …and that too needs handling. Sensitive mentorship and sage counsel are invaluable in setting the right expectations and providing gentle guidance. Advise Boomerangs to stay away from derogatory or laudatory comments about current or past employers and prepare them to answer innumerable times the much-asked question ‘Why exactly did you come back?’”, says one manager who has successfully assimilated many a Boomerang. Augment such mentorship with proactive and frank communication to the team, ideally by a senior, highlighting the reason for the rehire decision, and you have the formula for success. “It was tricky. Some team members were aspiring for the role that I was being brought into. The situation was adeptly handled by a mature Leader through a meeting well before I rejoined, involving me and my future team, to clear the air and set organizational expectations on why the hiring was happening,” said a relieved Boomerang. A CEO acclaimed for his success with Boomerangs has the magic formula of one year when he provides “favoured child” status to the Boomerang to help the person resettle and not have to be one among equals. “Just that air cover, and then they fly. It protects them against any residual peer resentment or road-block,” is what he believes. This checklist, I found, meets the Portability test too. In conversation with a very successful home-maker, I found that it is these very principles that she employs when assimilating a Boomerang house help back in her kitchen! Hema Ravichandar is a strategic Human Resources Consultant and a HR Thought Leader. She is a renowned Leadership Coach and serves as an independent director and an advisory board member for several organizations. 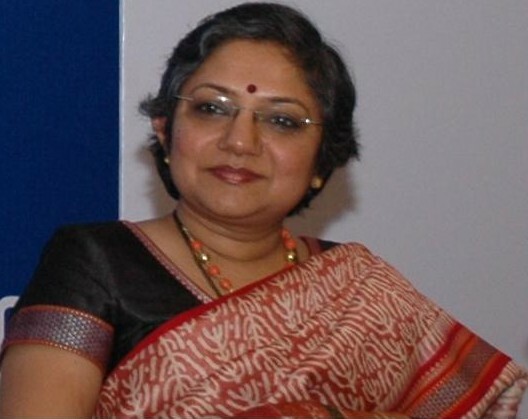 She was formerly the global head of HR for Infosys Ltd.
First published in The Mint.